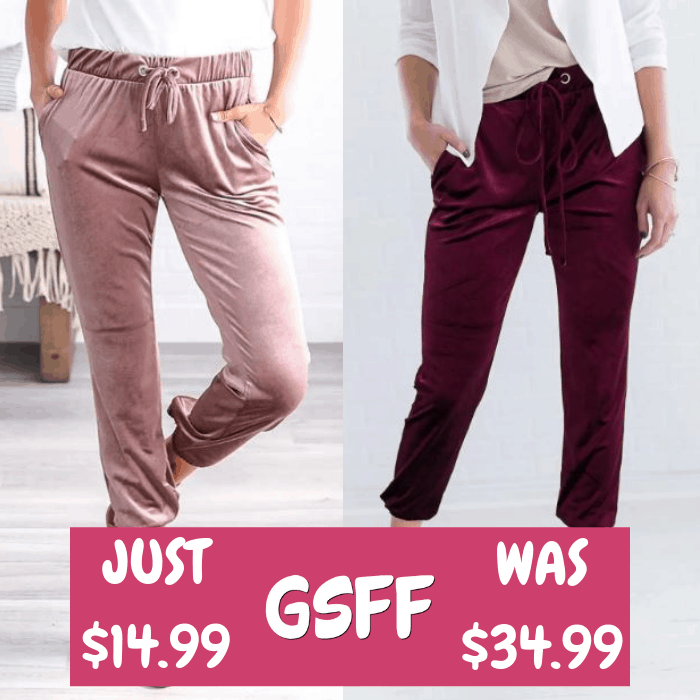 Luxe Velvet Jogger Just $14.99! Down From $35! Shipped! You are here: Home / Great Deals / Luxe Velvet Jogger Just $14.99! Down From $35! Shipped! Until December 29 only! Head over to Jane to get this Luxe Velvet Jogger for just $14.99 down from $34.99 PLUS FREE shipping! Get excited about the velvet trend this season! These Luxe Velvet Joggers are so fun, you’re sure to want more than one pair! Complete with pockets, a drawstring waist, and the softest fabric EVER, what’s not to love? Pair these cool joggers with your favorite tee and converse for a great trendy outfit and you’re sure to love how you look and feel!